Do you have dreams about being a member of The Starship Enterprise, being a part of the hustle and bustle of an active bridge and working at the right hand of the captain as you save the universe together? If not, how about just messing around on Facebook while working an entry level position on the ship? Redshirt, the first game from Mitu Khandaker, seeks to put you into the shoes of the least important member of staff on the most important starship in existence updating your social networks to remind your friends that you’re going to new planets of just what you had for lunch that day. I was able to take some time to talk to Mitu about the game, her game design roots, inclusivity in character creators and her advice for first time developers. Laura: Could you start by briefly introducing yourself for our readers? Mitu: Of course! So, I’m Mitu, and I’m an indie developer at my one-woman studio The Tiniest Shark, which is something I’ve been doing for the past couple of years, while developing my current game, Redshirt. I’m also a part-time PhD researcher at the University of Portsmouth where I look into game controllers and aesthetics. Laura: And can you give us your quick, couple of sentences elevator pitch for Redshirt? Mitu: Yes! Redshirt is a social networking simulation game, about being a newcomer (and the most insignificant person) aboard a deep space station, where everyone is obsessed with using Spacebook. As the player, you’re trying desperately to climb the career ladder and make friends, all by social networking with NPCs! I like to think of it as The Sims-meets-Facebook-meets Star Trek. Laura: Fantastic. Where did the idea for the game first come from? Mitu: I’ve been interested in the dynamics of social networking, and how all that affects our lives since — well, since those things have been around! I’ve also long been interested in games which try to simulate social behaviour (The Sims, etc), so I had this idea floating around in my head about a simulated social network full of NPCs, just because I thought that’d be really interesting. I pitched the idea of the game to Positech Games, who agreed to publish it, but also suggested the additional sci-fi theming, which I thought was fantastic, because then it becomes a reflection on where our social media obsession might take us in the future. Also, shows like Star Trek tend to present this very idealistic (for the most part) idea of people, without taking into account how — well, how people will still be people in the future. Still self-obsessed for the most part. Laura: What’s been the biggest challenge you’ve encountered while creating the game? Mitu: Well, various technical hurdles aside, I think the most *interesting* problem to solve has been to try to figure out exactly how to model things like relationships (both romantic, and platonic) in the game, as well as model NPCs personalities, in a way that doesn’t feel totally random. I mean, I’m not sure if I’ve entirely solved that problem yet, but I hope so! I think another challenge was that the game was originally envisioned as a sandbox kind of game, where you interact with NPCs “just to see what happens” — of course, the danger with that is that it might stop being interesting after a while, so I’ve introduced more traditionally game-like structures into it (like an end goal etc), but to what degree that will be successful will be determined as I do more playtesting, which is the point I’m at now! Laura: What sort of feedback have you had so far from people who’ve had a chance to try the game? Laura: Do you have a rough timescale for when you expect the game to be finished? Laura: How did you first get into game development? Was it something you always knew you wanted to do? Laura: And do you have any advice for anyone who’s looking to get into indie game development? Mitu: You know, it’s kind of a clichéd answer, but it really is true that the best way to get into indie game development is to start making/prototyping game ideas, and start discussing them with people. And, don’t get caught up in narrow ideas of what a game is, even! 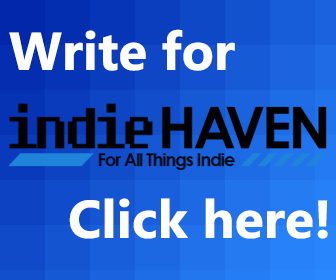 There are plenty of people who are doing amazing, expressive, and personal work in making games in Twine, for example, which is available for free, and doesn’t require any formal programming knowledge. There are tonnes of tools out there for people to start playing with, so they should definitely be taken advantage of. Another important piece of advice I have for someone just starting out/looking to make games — as an indie game developer, you obviously have creative control over the kinds of games you make. While to a certain extent it’s okay, try not to parrot and regurgitate existing ideas. It’s totally within your power! I don’t just mean in terms of types of games, but also, in your assumptions of who the audience is. There are a lot of harmful tropes and assumptions made in mainstream games, and you can totally eschew them. Laura: Could you talk a little about some of the thing’s you’re doing within the game to make it inclusive to a wide variety of players? [quote_right]”I realised that I could have the character creator model how I think of the world.”[/quote_right]Mitu: Sure — I think a lot of that goes on with the character creator and harks back to the thing I mentioned earlier that as an indie, you have a chance to not just parrot existing conventions of how a character creator works for example and so I realised that I could instead have the character creator model how I think of the world. So, there is a gender slider in the game, rather than binary male or female (though I don’t think that is necessarily a perfect reflection on how gender works, but I hope it’s a step in the right direction), as well as a ‘private’ gender option. So, yes, even as a member of the race of aliens who are all outwardly thought of as “female”, it’s still possible to identify as male and vice versa. Also, when you’re creating a character, it mimics creating a new FB profile and by default, your “Interested In” is set to “all” — though if you want, you can set it to either male or female. But yes, heterosexuality is not necessarily “default”. Not really caring is. Laura: what’s it been like as a first time developer trying to market your game? Mitu: My situation is slightly unusual, in that I’m incredibly lucky in that Positech Games is publishing Redshirt, so I’m definitely in a position of financial privilege in being able to do things like exhibit it at Rezzed, etc. But, that aside, I’ve actually found it incredibly nerve wracking talking to and showing people the game — mostly because it’s just a weird game concept, that I’m not always sure how people will take to it. But, it’s been fun as well! That is definitely something that everyone can — and should — do as an indie. Just keep talking about your game, and show it off! It can be difficult, but it’s necessary. I’m a bit of a perfectionist, so for a long time during earlier development, I was too self-conscious to follow my own advice, but I’ve gotten better at pushing myself to do it now. Laura: Fantastic. Have you got anything else you’d like to say to our readers about the game? Mitu: Redshirt has been kind of an experiment in trying to model social behavior through a simulated social media interface, so it’s definitely an unusual game, but I hope it’s one that people will like — particularly sci-fi fans. Or social media fans, for that matter! But Redshirt definitely tries to make fun of some traditional sci-fi tropes, such as the usual green-skinned-ladies thing (there’s a race in Redshirt of all green/blue-skinned women, who everyone thinks of as an empowered matriarchy, but they are just objectified by everyone else!) So I guess there is some element of social commentary involved — again, going back to harmful tropes that video games exhibit — sci-fi has done this too, to some extent. But, sci-fi also tends to be kind of progressive in some respect, and I hope Redshirt is too. Inclusive is pretty important to me. It’s funny how mainstream developers have this idea of ‘making games for everyone’, where everyone is actually assumed to be a very specific kind of individual (i.e. straight, white, cis (non trans) dudes!) — but Star Trek was awesome for bucking norms of the time with it’s original, rather (racially) inclusive crew, and I hope that Redshirt captures some of that spirit!